Mental health patients are going without care because of a lack of beds in NHS hospitals, the UK’s Royal College of Psychiatrists has warned. 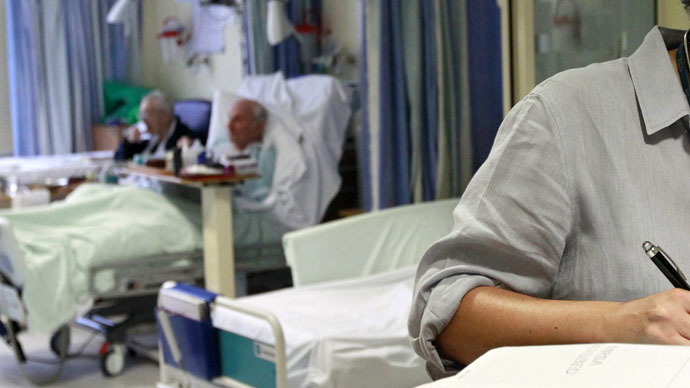 According to new research from the Royal College of Psychiatrists (RCP), an increase in the number of patients coupled with a closure of mental health care facilities has resulted in a shortage of beds available in England and Wales. “There is mounting evidence – such as the doubling of the number of patients having to be sent out-of-area for care between 2011/12-2013/14 – that there are simply not enough mental health beds available in some areas,” RCP president Simon Wessely said. The statements follow research conducted by the BBC and Community Care magazine last year showing that 2,100 beds in psychiatric wards were closed since April 2011, while seven people had committed suicide because of a lack of space in hospitals. Mental health charities say the crisis may be rooted in overstretched mental health wards receiving less help and assistance from the government. “It is a cruel result of a longstanding agenda to reduce mental health beds and treat all mental health patients – no matter how unwell – by already overstretched mental health teams in the community,” said Marjorie Wallace, chief executive of the mental health charity Sane. Earlier this month, the Daily Mail revealed that hospitals were diverting mental health patients to private hospitals in an ostensible effort to save money. The investigation revealed NHS bosses were sending patients to wards “out of area,” with 22 NHS trusts spending up to £38.2 million on private hospital rooms between 2013 and 2014 – nearly twice as much as they spent the year before. However, the government claims it has invested around £120 million into providing mental health services in the NHS. “We are pleased that NHS England’s guidance to commissioners for 2015/16 is to give real terms funding increases to mental health,” said care and support minister Norman Lamb. “I have set about getting data for the first time ever on out of area placements so that we can see clearly which areas are failing. I am clear that sending people a long way from home is intolerable. I have asked Monitor and the Trust Development Authority to identify the problem areas and find solutions to these failures,” he added.